Fumble!!! If you're a football fan, you've heard that cry before. We're an enthusiastic football family and it's an easy game to compare to other things in life and that includes blogging. When you're a running back and a hole opens in the line, you have to go for it and quickly. The same with blogging. When you have an opportunity to guest on another blog or exchange links with them, take advantage of it. Opportunities can disappear in the blink of an eye if you don't react as soon as you see it. Be a team player. 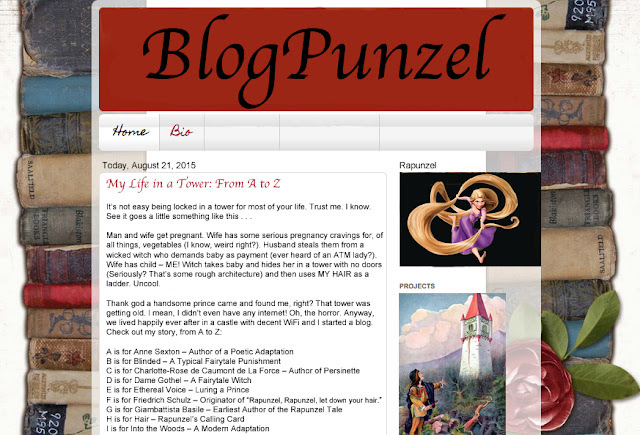 A successful blog is one with lots of friends and followers. Those wonderful people leaving comments are your team. They help you and you help them back. Promote others as they promote you. Link to them when they share something you really enjoyed and they'll have your back at some later opportunity. Pick up your teammates when they get down. If they're not blogging as often as they used to or express discouragement in their posts, tell them how much you'd miss them if they stopped. Remind them of the fun things about blogging. Keep your eye on the ball. Why did you start blogging? What did you enjoy about it? Make sure you're don't stray from what works for you. Eye on the target. Play with heart. Blogging is work even when you love it. Put your heart into it and enjoy this wonderful network of like-minded people. Don't be afraid to try something different if what you're doing isn't working. 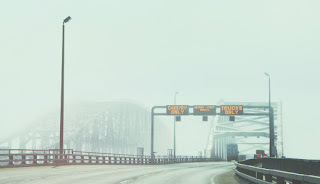 Adjust and blog on! Hope you football haters didn't cringe at the comparisons. Or the football lovers. And as an extra, I should point out that it's easy to visit blogs while you're watching football. There's always time in between plays. 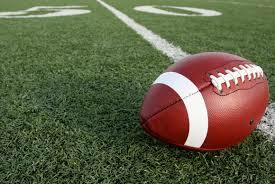 If you want more football goofiness, visit my blog, Susan Says, as I use football terms for some writing motivation. On another note, there is a big announcement coming to IWSG this Wednesday. If you're a writer, you should be part of that group. 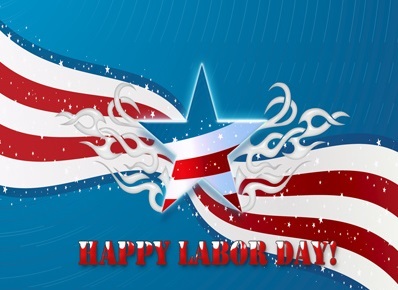 Labor Day was promoted by the Central Labor Union and the Knights of Labor, who organized the first parade in New York City. After the Haymarket Massacre (this is worth reading about), which occurred in Chicago on May 4, 1886, U.S. President Grover Cleveland feared that commemorating Labor Day on May 1 could become an opportunity to commemorate the affair. Thus, in 1887, it was established as an official holiday in September to support the Labor Day that the Knights favored. What does this have to do with us as writers/artists? 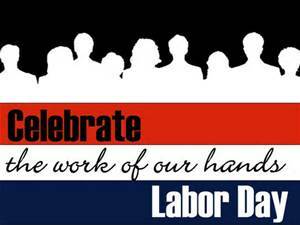 We are a part of this labor force, a part of what makes our economy tick, through all our trials and successes, we should acknowledge our part and celebrate with eager anticipation all that being a part of our country/economy means. 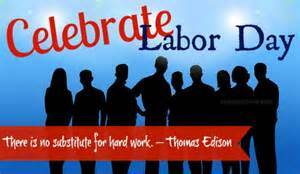 Go Labor Day!!!! 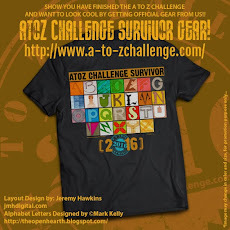 As I've said before, I have the hardest time choosing which bloggers to visit during the AtoZ Challenge. So many entice me with their interesting, informative or entertaining themes that I run out of time to make it to all of the ones I enjoy. That's why I decided to do a bit of touring this summer on the Road Trip and take a look at some I'll be sure to visit come April 2016. I'm still trying to go from Z to A on my visits (that was the plan I posted earlier this summer). Progress, however, has been slow, but Mario keeps egging me on. Wind him up and you can't slow him down. I call him my Muse on Steroids. Well, just look at his hair. Says it all, doesn't it? 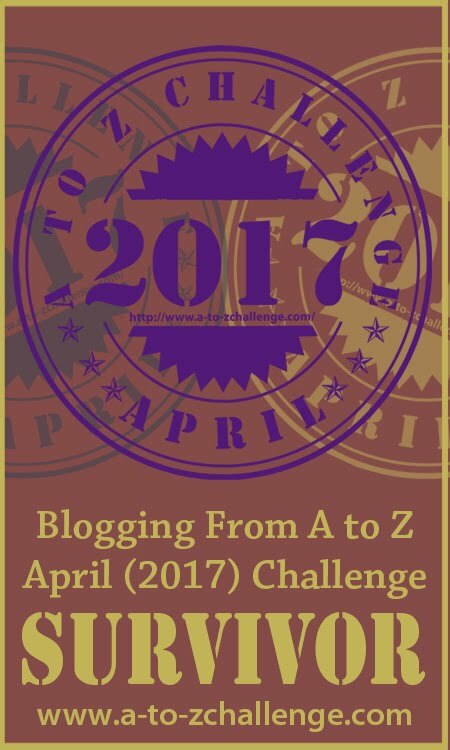 Here are bloggers I've visited recently and hope they'll sign up for AtoZ Challenge in 2016 because they post good stuff! Are you doing a more leisurely tour during these summer months? Any special plan to wrap up this beautiful last month of heat and lemonade and hammocks? How's the AtoZ Tour treated you this summer of 2015? the super organized co-host from our A-to-Z Team. Known for lending a helping hand to newbie and veteran bloggers in need. Ever the straightforward woman, unafraid to have hard conversations, she also had a knack for fine-tuning details, simplifying complex tasks and making sure we got things done. Tina showed us what it’s like to juggle a full load as a mother, wife, friend, daughter and writer while still finding ways to stop and smell the roses, and have fun. The witty sign-offs in her messages were like additional reminders that kept everyone in high spirits and often made us laugh. So it's easy to see how, without her, we've come to feel very understaffed. It’s been one year since Tina, the kindhearted Swedish woman who many of us had the honor of getting to know, was laid to rest. Still her memory lives on through those she loved, those she helped and the examples she set for taking on challenges in stride while still putting forth our very best. Though Tina battled chronic health conditions, she still enjoyed campfires, quoting the movies, hiking, and a glass of Chardonnay when she could. 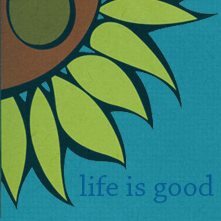 So today, let’s give a big toast to Tina Downey, the Sunflower-loving powerhouse who taught us that if you just keep swimming, you will find something to smile about because life is good. Tina with her husband Neal. Photo courtesy of the Downey Family via AJ Lauer. 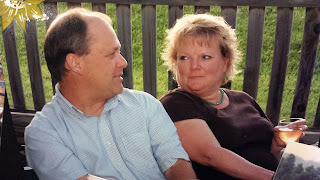 Katrina Mai Downey passed away August 23, 2014 at Longmont United Hospital, surrounded by her loving family. She was 49 years old. She was born August 4, 1965 in Mölndal, Sweden to Leif and Bonnie (Schnebly) Bilen. Tina spent her early childhood in Sweden, moving to Silver Spring, MD in 1974 where she competed in gymnastics and cross country. The family moved to Englewood, CO in 1983. Tina graduated from Denver Christian High School in 1984, where she played clarinet in the band and met her future husband. She earned a Bachelor of Science in Mathematics, and a teaching certificate from Colorado State University in 1988. Her complete obituary can be viewed at Ahlberg Funeral Chapel and Crematory. Well, it's been a long hot summer (at least for those of us in Texas), and what better way to beat the heat than spending some time with a beloved fairy tale character? Let's check in with a with one of my favorite princesses as she works on her blog to pass the time. After all, she has more than enough time to herself, locked away in a tower with only a spunky chameleon for a companion. Let's take a sneak peek at the inner bloggings of the princess with a rope of golden hair . . .
Well, she was certainly a sassy one, wasn't she. It's nice to see a princess with an attitude (and love of a good WiFi connection). 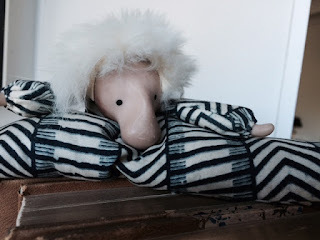 I hope everyone enjoyed another installment of the Characters Who Blog! Have a great weekend and happy blogging! After seven years of blogging, I'm starting to notice some patterns in blogging. And many of them make perfect sense. Major holidays Christmas, Thanksgiving, Easter, and July 4th are often family times and bloggers are too busy to be online. At least we hope so. Other holidays such as Labor Day, Memorial day and President's Day will also see some level of absenteeism in the ranks. 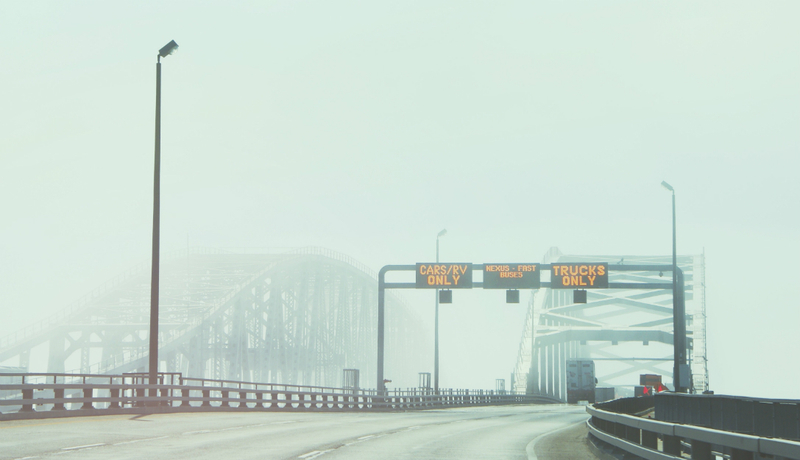 Outside the USA are more holidays that draw people away from the blog world. 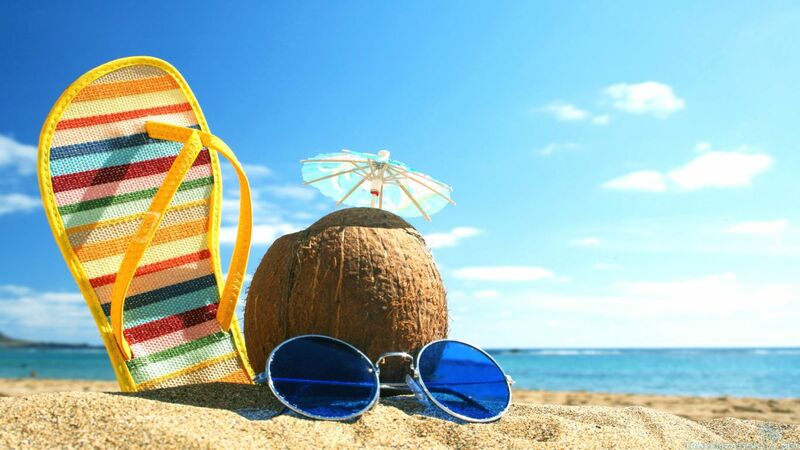 Summer is the most common time for vacations. Over the course of the months, bloggers will take a week or two off from this world just as they do the old day job. 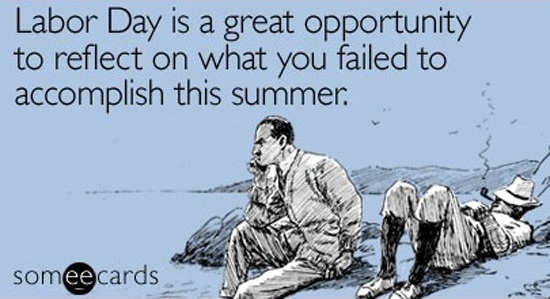 Some might do a blog slowdown for the entire summer so they might enjoy the fine weather. And since the blogging community is world-wide, not all of us have summer at the same time. Some bloggers take a break because something needs their attention before the blog. It might be overtime at the day job, a family illness, a book that needs editing or finishing. And many of us just need a break now and then. Can I remind you of post-April when many of us took a week or more off from blogging to recover our energy after the Challenge? I hope that the blogging friends I've met here and on my personal blog always come back from those breaks. For the time being, I've changed my blogging schedule from MWF to MW only as I spend my hours on my newest space opera romance series. How about you? What other reasons do people take blogging breaks for? Do you still maintain a schedule even when you slow your blogging down? Do you take holidays off from blogging? Susan Gourley is published in epic fantasy and in romance that she writes as Susan Kelley. Road trips are much more enjoyable when you have the momentum to keep going for miles. Are you low on gas or have become lost while driving around through our A-Z neighborhood of blogs? Here are four destinations to help get you back on Route 26, inspired by some of most basic ingredients for a great road trip – music, interesting attractions/places to visit, food and games. Schoolteacher Luther M. Siler at Infinite Free Time did an A-Z challenge theme on 90s Hip-Hop music. 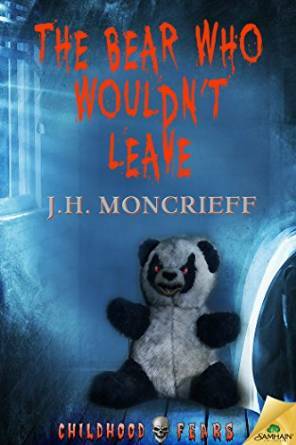 While he blogs about different subjects including creepy childrens cartoons, this Skylights author continues to keep readers jamming to tunes from all sorts of artists. A Road Trip itinerary for this week…. Courtney Turner at Maui Jungalow provides practical information on what it’s really like to live on a tropical island. From gardening and farming to transportation, Hawaiian culture, weather, bugs and housing, this A-Z blogger gives readers a lot more in-depth view of what’s beyond the typical tourist attractions you’d find on other travel blogs. Let’s pull over for a picnic in the park…. Netherlands native Lisa at Basil and Oil blogs about simple recipes that you can whip up in a pinch. She survived this year’s A-Z Challenge by doing a theme on Italian cuisine and has an ongoing series called “Sweet Sunday,” where she shares lots of baked goodness such as cranberry ripple cheesecake and chocolate Guinness cupcakes. Yum! Game On! When its play time…. 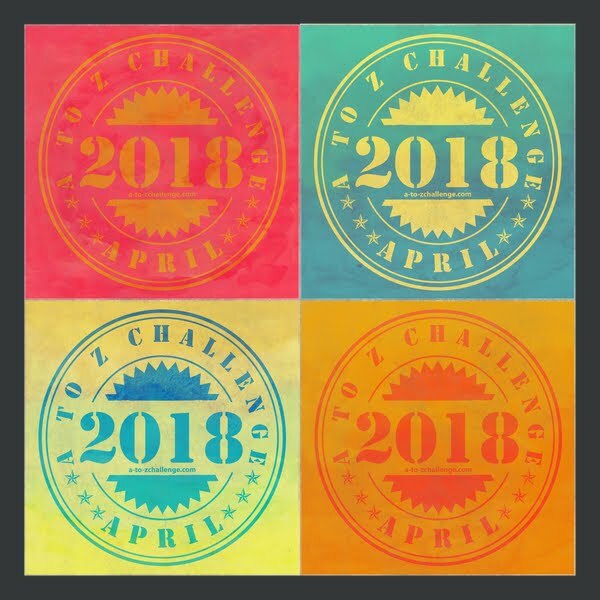 Stewart Lloyd and his team at Lloyd of Gamebooks incorporated the alphabet nicely into their April blogging activities during the A-Z challenge. This blog gives viewers a front row seat to different perspectives on the industry, from interviews with zine publishers and illustrators to reviews and commentary on gamebooks apps, horror books and related material. Have a bright and shiny weekend, everyone! The A-to-Z Challenge Road Trip is hosted by screenwriter Nicole Ayers and author C. Lee McKenzie who’s traveling with Mario the dashboard buddy, so make sure you honk your horn or share a friendly wave to let them know you’re still on the road with us! Themes That Rocked the Challenge – Jenn Ventures into The Twilight Zone! Today I welcome Jennifer from Scribbles From Jenn. For the A to Z Challenge, she ventured into… The Twilight Zone! 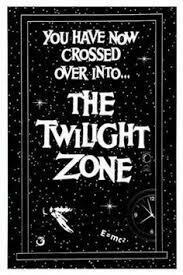 Your theme was the Twilight Zone show – what made you chose it? As a kid, I was babysat by my brother who loved Sci-Fi. Since we only had one TV, and he was the oldest, I watched a lot of Sci-Fi. I came to enjoy the Twilight Zone because it didn’t have a lot of scary images. It didn’t need to; it was able to scare the bejeezus out of me, in black and white, without using blood, guts or gore. Now, as a writer, I appreciate the genius of Rod Serling. Additionally, I’ve come to see Rod Serling as visionary who, over five decades ago, wrote on topics that are surprisingly relevant today. In previous A to Z challenges X was the most challenging, but this time it was the letter S. Not because I couldn’t find a T.Z. episode to match, but because I had about fifteen to choose from. In the end I went with a cult favorite, To Serve Man, but it was a hard choice. My favorite? I can’t really say I have a favorite, I like them all! What made V’s Valley of the Shadow unique? 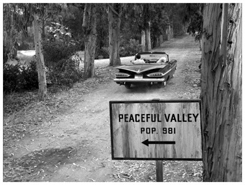 Besides the fact that the Sci-Fi worlds collide in this episode when James Doohan, who also plays Montgomery "Scotty" Scott, the engineer of Star Trek (1966)'s Starship Enterprise, is the dad of one of the main characters, I think it’s the fact that in Peaceful Valley miracles seem to occur due to technology. Again, Mr. Serling was ahead of his time as today’s technology really is creating the appearance of miracles. What’s a great episode that most people haven’t seen? A great, but little known, episode is No Time Like The Past. In this episode scientist, Paul Driscoll, acquires a time machine and with the help of a friend decides to travel back into the recent past to alter events and remake the present. After several failed attempts, he concludes that, “the past is sacred” and returns to his own time declaring, “… instead of continuing to fixate upon the past, he will now try to do something to positively impact the future.” With all that’s going on in our world today, I think that is still great advice. Which episode was the creepiest? 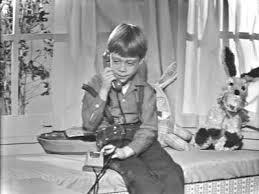 As a mother the creepiest episode for me is Long Distance Call where a toy telephone becomes the link between a young boy and his dead grandmother. After her death she calls him on the toy telephone she gave him before her death, and beckons him to come join her. What’s creepy for me is how that episode has become a parallel to today. However, it’s not a toy telephone, it’s the internet, and it’s not dead grandmothers, it’s a variety of other things often just as bad. Ever felt like you were in the Twilight Zone? Yes! Haven’t we all? I wonder if that, and the thought-provoking writing, has anything to do with the longevity of the series. I’m not sure. I only hope I find something I enjoy as much as I enjoyed my theme this year. 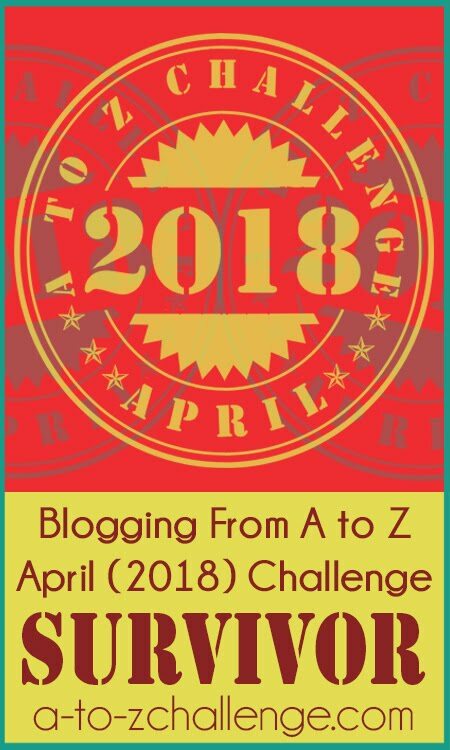 Blogging from A to Z on the Twilight Zone made the challenge so much fun! Thanks, Jenn! We want the Challenge to be fun. 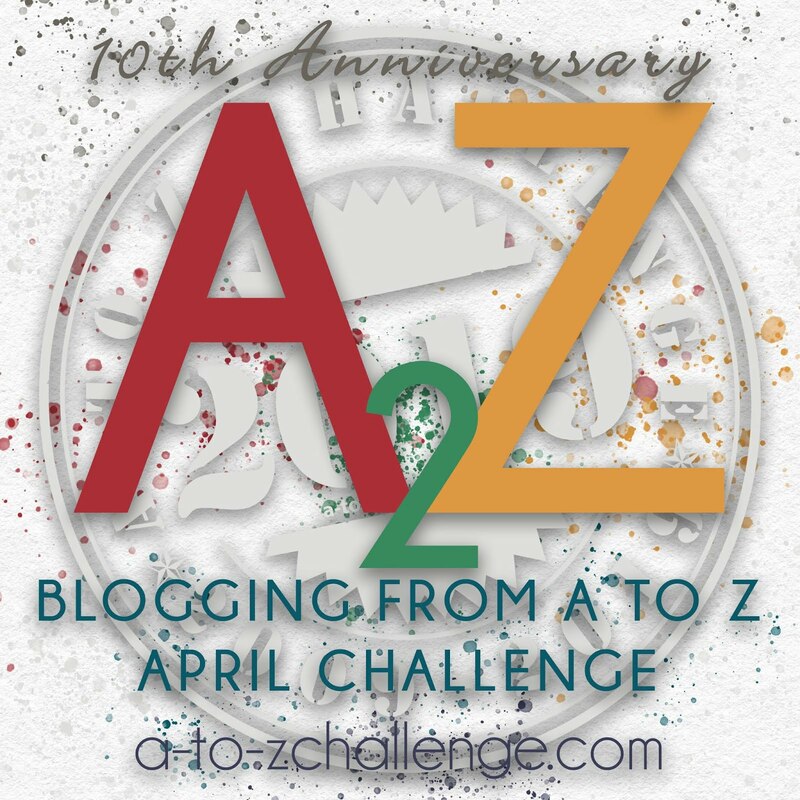 There are so many bloggers who come up with amazing AtoZ Themes each year that choosing just a few is darned hard. So I thought Mario and I'd do a quick trip over to these four on a test run, then do more before we wrap up our summer touring. J.H. Moncrief always has something intriguing and sometimes on the darkish side. Chills and burrs even in August. 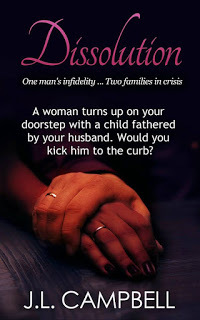 Take a look at the cover of her book and you'll understand. We love visiting there. And we're betting she's got some great stories to share about Romania. J. L. Campbell writes up some super romance Jamaican style. Here's her latest. Hilary gives and gives and gives you some of the most amazing information about her part of the world and history. Sometimes she throws in accounts of her own Road Trips. Southpaw is a generous blogger with all kinds of solid and useable information. Then she adds some more interest when she goes into stones--from amethysts to diamond to jade. 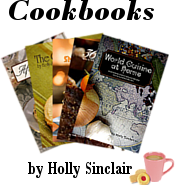 And she writes cookbooks! Can't wait to see what themes these four will come up with in 2016. What are your favorite themes from 2015? Any ideas for 2016? 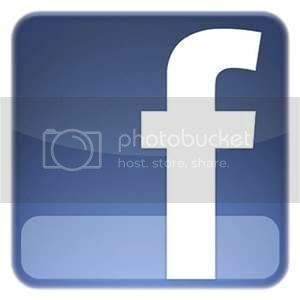 What would you enjoy reading about from AtoZ?